BALT Split-Level Computer Training Table Base, 72w x 36d x 33h, Black (Box Two) - The black base is one half of the Balt Split Level Training Table. The gray laminate tabletop (83080) must be purchased separately to have the complete table. 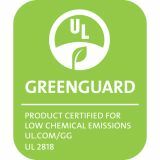 Durable steel frame offers a powder-coat finish. The table's split-level design provides an unobstructed view during training or conferences. Two platforms adjust independently from 25-1/2" to 31-1/2" high for correct ergonomic height. Each platform can be raised or lowered according to your preference. Spacious keyboard/work platform measures 19" deep x 72" wide, while the monitor platform measures 17" deep x 72" wide. 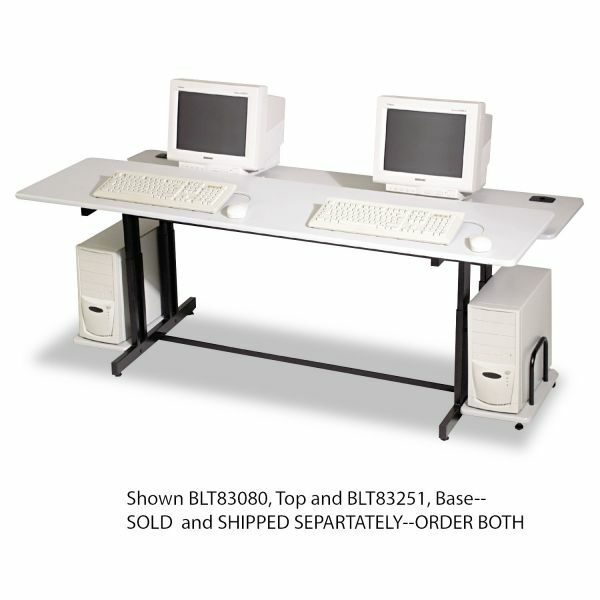 Table includes two CPU holders and two grommets for cables and meets or exceeds applicable ANSI/BIFMA standards. The tabletop is sold separately. Spacious keyboard measures 19" deep x 72" wide, while the monitor platform measures 17" deep x 72" wide.